« 8/31 more field peas! 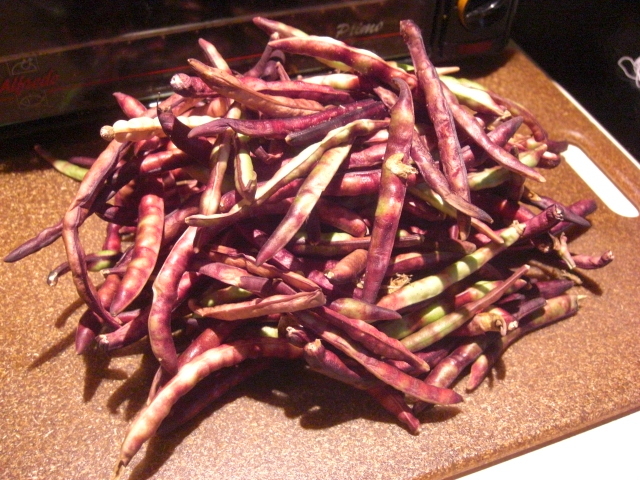 and yardlong beans! I’ve already roasted the eggplant for baba ghanoush. The onions I’m adding to my onion stash. I feel happy as a squirrel putting onions away for fall meals of French onion soup and beef stew. 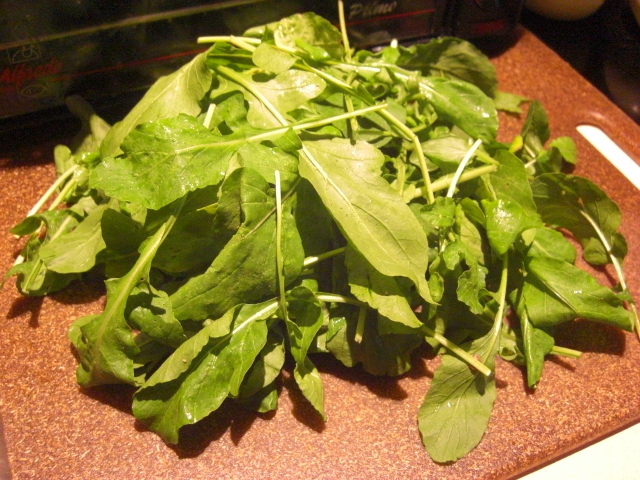 Arugula’s pretty and smells good. Recently, it’s been too strong for me to enjoy as a salad. (Don’t know what happened to me; I used to just dress it and go to town!) I’ll mix it in with the baby spinach we got (not pictured, whoops!) for salads, and that should cut the strength some. 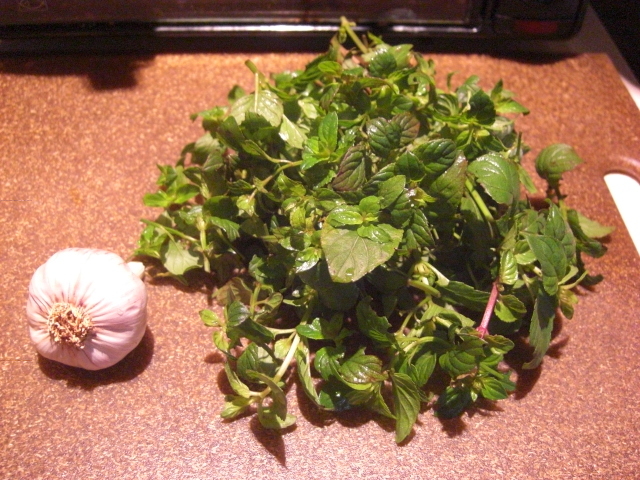 Another possibiltity is barely blanching, chopping, and adding it to a cream-cheese butter sauce. Sort of like spinach alfredo. But I might stuff manicotti shells instead. Ooh! 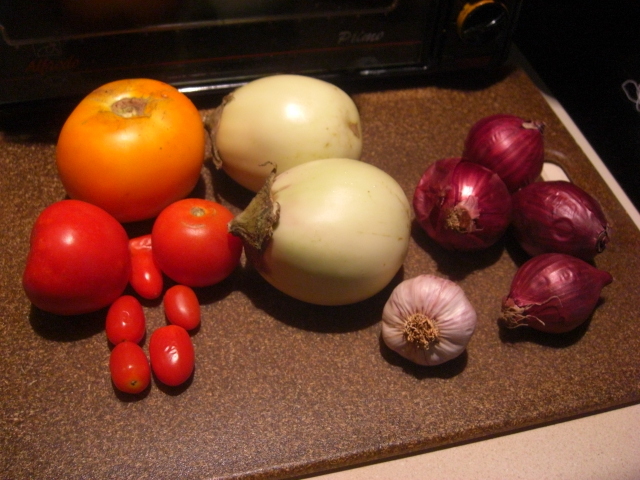 And cook down the tomatoes and garlic into marinara and top with that. Sold! 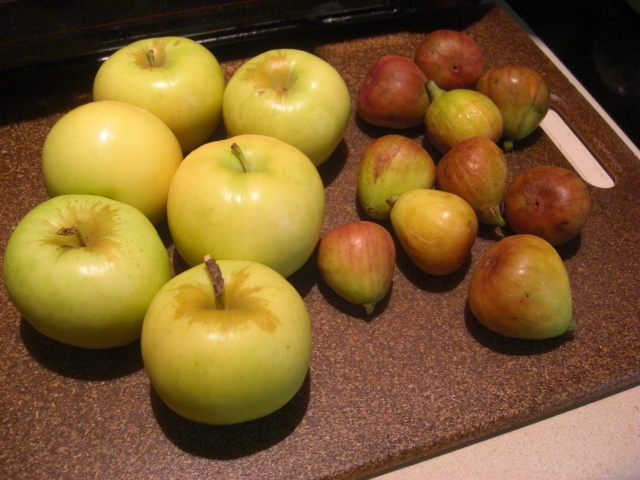 The apples are yummy afternoon snacks, and the figs I’ll probably broil again as compote. I’ve got a busy week, and that just sounds like the easiest thing to do. Link sausage is easy. You brown it on two sides and then add liquid and steam. I cooked our last sausage in a bottle of beer. Not sure what will happen with this one. I suppose if you grill, you could grill these, too. 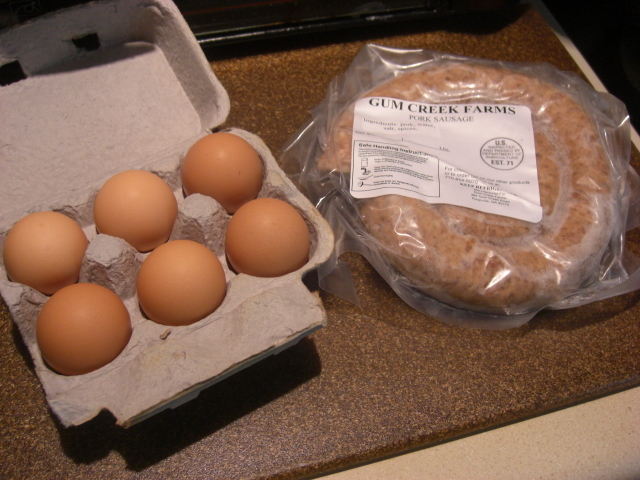 I think it’s time for some scrambled eggs. It’s been entirely too long. 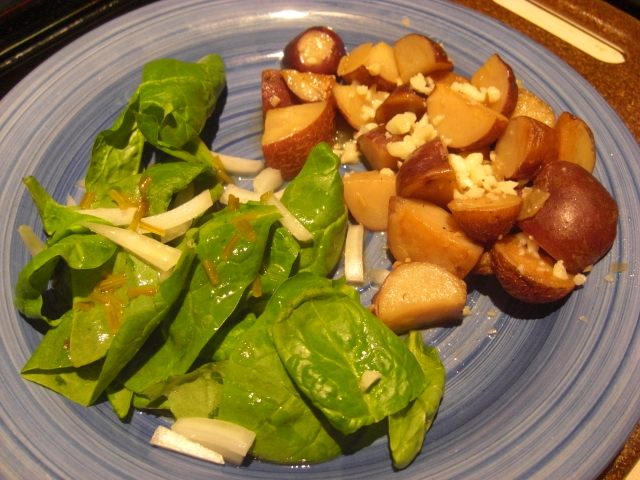 Some night soon, we’ll have a supper of scrambled eggs and arugula-spinach salad.